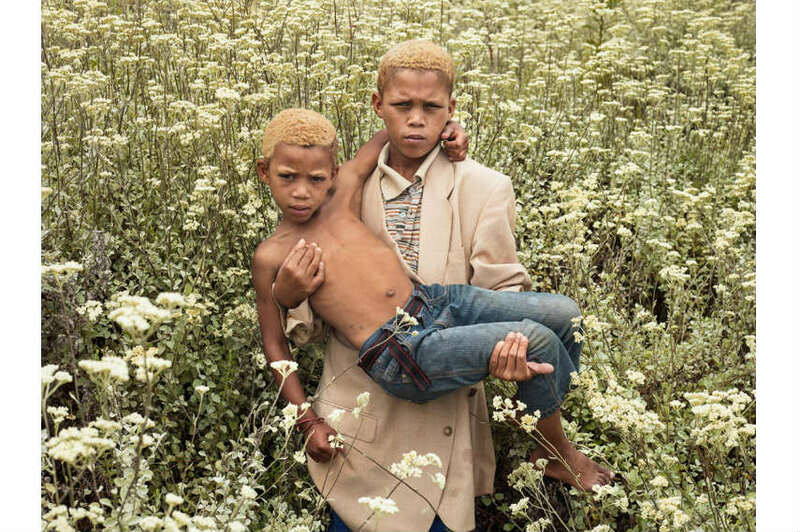 Pieter Hugo is a South-African portrait and documentary photographer, recognized for capturing images of the continent’s marginalized peoples, including the blind, albinos, and AIDS victims in their coffins, all carrying strange and lingering power. He is a self-taught photographer, with no formal education, primary because there wasn’t any space where one would get an education about theory and history of photography in Cape Town. After finishing high school, he went straight into becoming a practicing photographer, whether it was commercial work or editorial work or working as a photojournalist. Hugo initially worked in the film industry in Cape Town, before spending two years in Italy at Fabrica, a research center for artists. As a white South African photographer, Pieter Hugo is acutely aware of the problems of representation that hover around his work, which merges documentary, portraiture, still life and landscape. Issues of race and cultural custodianship permeate every aspect of South African society and the legacy of apartheid casts a long shadow. For him, documentary photography is a type of ecstatic experience where one looks at the pictures and one experiences truth, even if it’s not the truth of an accountant. Hugo understands that a photographic metaphor, a way of describing something through reference to something else, is created as much by the elements inside the frame of the image itself as by the carefully chosen distance, the so-called critical zone, from the photographer’s lens to his subject. It is within this zone that Hugo maneuvers through the muddy waters of political engagement, documentary responsibility, and the relationship of these to his own aesthetic. Hugo traveled extensively to countries such as Ghana, Nigeria, Rwanda, and Liberia, photographing along this way gang members, taxi washers, AIDS victims, albinos, and the blind. 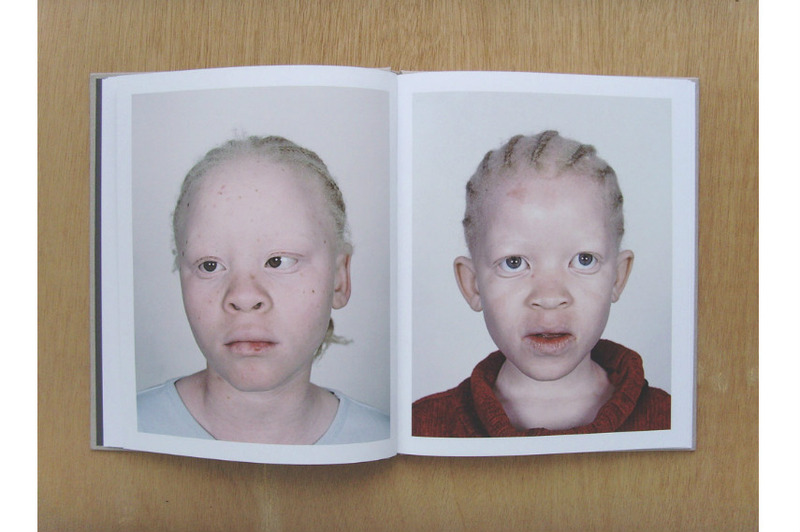 His first major photo collection Looking Aside consisted of a collection of portraits of people whose appearance makes us look aside, his subjects including the blind, people with albinism, the aged, his family and himself. Each man, woman, and child pose in a sterile studio setting, under crisp light against a blank background. The uniformity of his approach puts sole emphasis on their physical appearance. Hugo’s most well-known series, The Hyena and Other Men, was executed between 2005 and 2007, and was later published as a monograph. 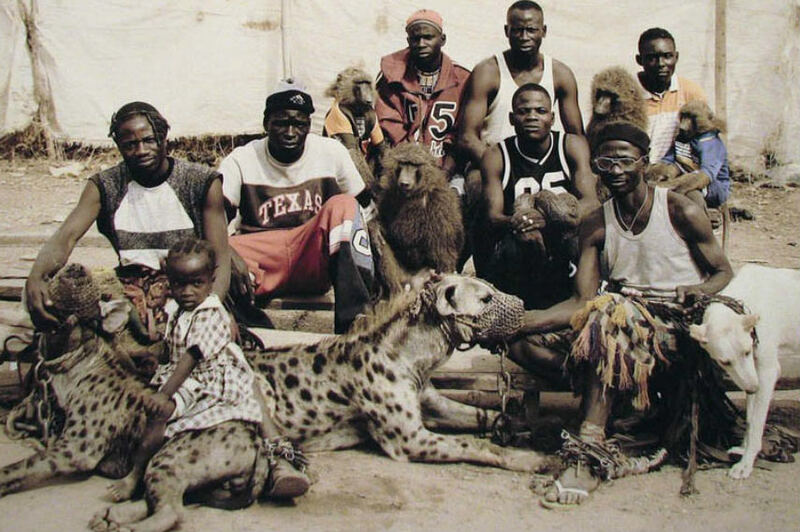 The series depicts a group of traveling performers from Lagos, Nigeria, who use wild animals as a part of their act. Hugo traveled with the group for 2 years to capture images of the animal handlers and the intriguing love-hate relationship between them and the wild animals. There are times when the men are affectionate to the wild animals while cruel and abusive at other times. The work is characterized by stark, graphic depiction of its subject matter. He has also photographed Rwandan landscapes, scavengers at a toxic dump in Ghana and the Nollywood film industry. He now turns his attention to his still-troubled homeland, with intriguing and sometimes provocative results. His recent series KIN deals with the identification and sense of belonging in South Africa, which is always connected to the idea of conflict. Pursuing the research further in this direction, in 2016 he created the series 1994, comprising portraits of children born after 1994 in South Africa and Rwanda who live in a post-revolutionary era because serious historical events took place during 1994 in both countries. 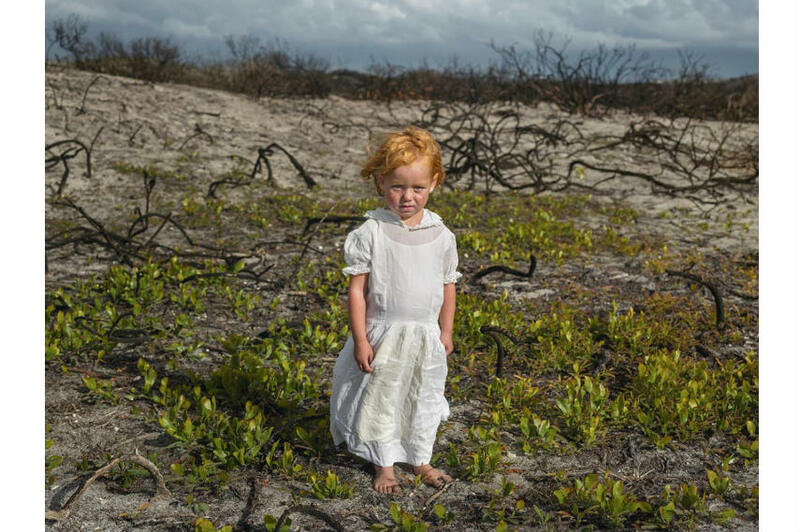 Pieter Hugo lives and works in Cape Town. 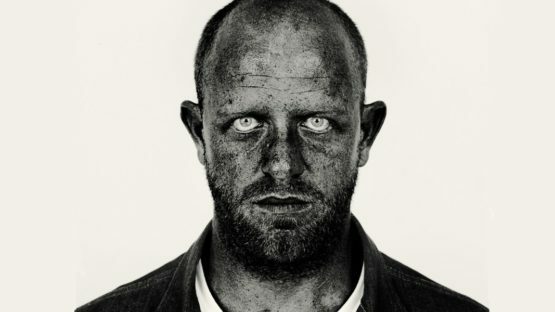 Featured image: Pieter Hugo – Self Portrait.